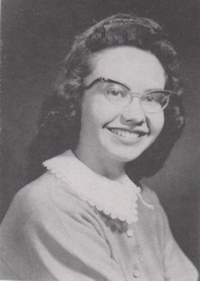 Obituary – Faw Faw, Patricia Ann (Durbin) « Perry High School Alumni Association, Inc.
﻿Cheerleader 58-59; Red Hots 55-59; Teen Town Council 58-59; Class Assemblies 56-59; Library Staff 57-59; Home Economics Style Shows 57-59; Annual Staff 58-59; F.T.A. 58-59. 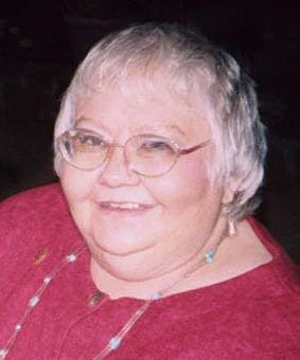 Patricia Ann Faw Faw, 62, Stillwater, died on Sunday, April 20, 2003 at Stillwater Medical Center. Services are scheduled for 2 p.m. Thursday at Eagle Heights Baptist Church. The Rev. Jerry Dockery will officate. A private family service will be held at a later date at the Grace Hill Cemetery. The family will greet friends at the funeral home from 7 p.m. to 9 p.m. Wednesday. Funeral arrangements are under the direction of Strode Funeral Home. Faw Faw was born on Feb. 13, 1941 in Perry to George Cleveland and Ida Christian (Loyd) Durbin. She grew up in Perry and graduated from Perry High School where she was head cheerleader. She attended Weaver Airline Personnel School in Kansas City, Mo., where she trained to be a flight attendant. She married Billy Don Faw Faw on July 20, 1959 in Red Rock. After their marriage, the couple lived in Perry. She moved to Stillwater in 1989, where she has lived since. She worked at OSU for the Army ROTC until 1973. She then worked for 22 years as a Social Security representative at the Stillwater office. She retired in 1995. She was currently an Avon representative unitl the time of her death. She was a devout Christian and enjoyed all church activities. The highlight of her life was her grandchildren. She was a member of Eagle Heights Baptist Church and First Baptist Church in Perry. Mrs. Faw Faw is survived by her three sons, Marc Todd Faw Faw, Dallas, Texas, Michael Don Faw Faw, Stillwater, and William Victor Faw Faw, Red Rock; and a daughter, Tamara Dawn Goodson and husband Jeffrey, Stillwater; five grandchildren, Christina, Faye, Bailey Rae, Haley, Morgun and Rachel; and four sisters, Fern Swartz, Modesto, Calif., Agatha Queen, Broken Arrow, Georgia Mae Mauney, Troutman, NC, and Mary Lou Rupp, Perry. Memorials may be made to the American Cancer Society for Breast Cancer Research, 106 E. Marie, Stillwater, OK 74075.